This is a question quite frequently asked by our Consumers: What is the origin of the raw materials used in Dr Giorgini food supplements? 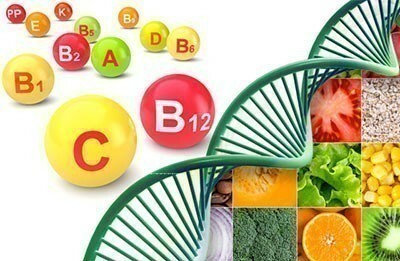 First, it should be stressed that vitamins and amino acids are natural substances contained in all the foods we eat; in particular amino acids are the "building blocks" that make up the proteins present in all foods. Furthermore, we must note that all the ingredients used, both the natural and synthetic origin ones, are included among those allowed in food supplements by European legislation (Regulation CE 1170/2009) and the National Gudelines issued by the Department oh Health. The contributions provided by the recommended doses comply with the maximum levels allowed, where set, and ensure the safe use of the products also from the point of view of nutritional balance. Also in accordance with the provisions in the Guidelines of the Ministry of Health for amino acid mixtures, in some cases, they have introduced this warning: "It contains amino acids: do not use in children and during pregnancy, or for long periods of time without previously consulting your doctor". Please note that this type of warning has been added to some of our products only as a precaution, even where not specifically required by the Ministry of Health. Since the warning is mandatory only in case of complex mixtures containing all essential amino acids, as well as for branched chain amino acids and creatine, it would be thus unnecessary for our food supplements that do not contain complex mixtures or high levels of individual amino acids. Amino acids, like vitamins, are substances indispensable for our life. Indeed, the proteins present in the body are formed by 20 amino acids, 9 of which are considered essential amino acids, as the body is unable to synthesise them and must take them from food. The non-essential amino acids, on the contrary, can be synthesised by the body starting from the essential ones, if they are present in sufficient quantity in our diet. It being understood that when there is a natural alternative, Dr Giorgini always opts for the latter, it is important not to generalise thinking that everything that is SYNTHETIC is bad and everything that is NATURAL is good. Extraction of plant material is often impossible to achieve or would require exorbitant costs, which affect the final price of the product. Please note that vitamins, synthetic amino acids and other active ingredients, are safe and have the same beneficial properties as those of the substances extracted from natural sources. As for the synthesis of vitamins and amino acids obtained by means of yeast or bacterial cultures, only strains of microorganisms suitable and safe for human health are used. All manufacturers must indeed work in accordance with the provisions of the EFSA (European Food Safety Authority) or the FDA (Food and Drugs Administration). In these cases, then, although we talk about SYNTHESIS, the starting raw material is however natural. To finish, we would like to remind you once again that the nutrients and herbs used in Dr Giorgini supplements are all allowed for such use and indicated in the lists of “Substances with a nutritional or physiological effect” and “Vegetable Substances and Formulations” that may be used in supplements, drawn up by the Ministry of Health.